School is letting out and we’re all kicking into summer mode around here. That means carrying spray bottles with us on the truck to try and stay cool. Aside from the occasional spray bottle war, things are great moving pianos in the Arizona summer. 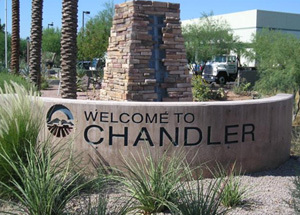 I wanted to send out a quick notice that we will be moving pianos in Chandler, Arizona three or four days this week. We’re regularly doing Chandler piano moves, but this week we ended up scheduling a couple extra days in Chandler, and we’d love to do your piano move while we’re out there! So if you have a piano (or two!) give us a call at 602-426-9640 and we’ll professionally move your piano. If you have any notions of trying to do it yourself then let me just remind you that today’s high is 107 degrees… Not a good time of year to move your piano in Chandler. Let us do it! We carry $1,000,000 insurance so you can have confidence that your piano will be taken care of during the whole piano move. We’ve been moving pianos for a long time and average 150-250 piano moves a month! A good number of those piano moves happen right here in Chandler, Arizona- we’ve probably even moved your neighbor’s piano! We’re running multiple trucks all across Phoenix, so we can usually get you on the schedule with just a couple of days notice. Again, this week we’ll be in Chandler, AZ three or four days moving pianos, so call us today and get your choice of scheduling. Safe & Sound Piano Movers would love to have the opportunity to do your Chandler piano move. To schedule call 602-426-9640 and we’ll take care of the rest!